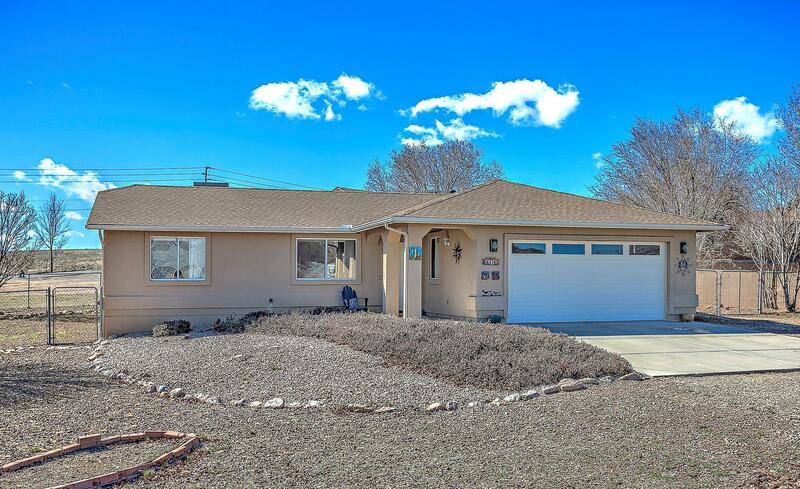 Charming 3 bedroom 2 bath Split Floorplan in Prescott Valley! Beautiful Panoramic Mountain Views to Enjoy Breathtaking Sunsets and Sunrises. Cozy, Open Floor Plan Offers Great Space for Family and Entertaining. Very Nice Landscaping that Offers Fabulous Mature Trees. Relax in the Fabulous Hot Tub! Wonderful Large Parking Space for a Huge RV or Extra Vehicles and Toys!